Clinical research associates play one of the most important roles in bringing life-saving treatments to you at the pharmacy. In a clinical trial, various health professionals come together to produce scientific studies on the benefits, side effects and issues around pharmaceutical products. A Clinical Research Associate (CRA) helps to design these scientific studies as well as plan them and put them into practice. A CRA also ensures that the studies follow the vital regulatory and ethical frameworks that are nationally and internationally mandated. Not only that, but a CRA will communicate the results of the research to the general public and the academic community. Now is a good time to consider one of the most important clinical science jobs. Training usually requires that you complete an undergraduate degree in the life sciences, before going on to receive specialised training in the clinical trial aspects of research. Many private companies will provide training after hiring, which can last for several months. You can also take graduate level courses that will train you to become a CRA. There are many benefits to becoming a CRA but as with almost any of the clinical science jobs or clinical research jobs, there are several challenges as well. During your work as a CRA, you will have the satisfaction of contributing to some of the most important studies that have an enormous effect on health and medicine. Studies may involve the development of a new medication, assessment of a new medical device or perhaps testing of a new laboratory method for disease analysis and diagnosis. Due to the rapid speed at which the science field is advancing, our knowledge is constantly evolving and we need qualified, keen CRA professionals to bring about new studies that can investigate successful treatments for disease. In this sense, the demand for CRA professionals is a stable one that is increasing rapidly as the science field similarly advances and all types of clinical science jobs are in-demand. As a CRA, you can work in a variety of different settings. A CRA is one of the clinical science jobs that offers many opportunities to choose the best environment for your career goals. These include academia and universities, government organisations, contract research organisations and private agencies such as pharmaceutical and biotechnology companies. You need superior organisational skills and a well-developed knowledge of the regulatory framework for drug trials and the approval process. You also need advanced communications skills and the ability to quickly develop a rapport with a wide range of people. You will be working with patients, physicians, medical writers and many other health professionals, which means you need to function successfully in a team. However, you will also be visiting trial sites – sometimes travelling frequently to monitor sites – so you need to be comfortable and confident when working independently. To understand how a typical day runs for a CRA, you need to understand a bit about the clinical trials process itself. The clinical trial is important because it evaluates and tests the effects of a medicinal product. Before any product in this area reaches the shelves of a pharmacy, whether that is an over-the-counter product or a prescription one, it needs to be evaluated through vigorous testing, often lasting for many years. 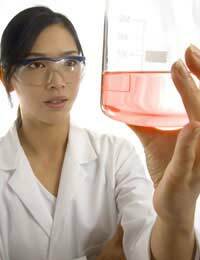 The clinical trials process involves many stages, ranging from the drug formulation itself to animal testing, before various human phases are carried out to assess the drug or product. A typical day for a CRA might include the development and written aspects of a trial protocol. This means you would formulate an outline for the aims and methods of the trial. The results would be presented for approval and you would also be creating data collection (or case record) forms. You would communicate with ethics committees, which serves to ensure the research is carried out appropriately and with respect to national and international ethics and guidelines. You would also locate suitable facilities to carry out the research as well as managing the applications for regulatory approval. As a CRA, you have an important role in communicating information to physicians and consultants on the team and you also hold responsibility for making sure that data entered in the data collection forms is correct. You would likely liaise with a statistician after data is generated and recorded from the clinical trials. There are many other duties of a CRA, but you can probably already see that a CRA professional usually has a busy, challenging and dynamic career that can involve multiple environments and travel at both the national and international levels. Unlike other clinical science jobs that tend to be based in one location, a CRA can expect diversity and change on a regular basis. Still, you may not necessarily participate in every aspect of the clinical trial. Much of this is dependent on the company role. For some individuals, they may only be involved in data collection while others would take an active role throughout the entire research process. If you have a true passion for science and medicine along with the motivation to help bring important – often live-saving – treatments to the public, a career as a CRA is worth consideration. While there are other clinical research jobs you can consider, a CRA career plays a very active role in the research process. You will have the opportunity to participate in designing, monitoring and summarising the results from clinical research trials. Your work will not only help to bring drugs to the pharmacy, but it will also help to ensure their safety and efficiency.